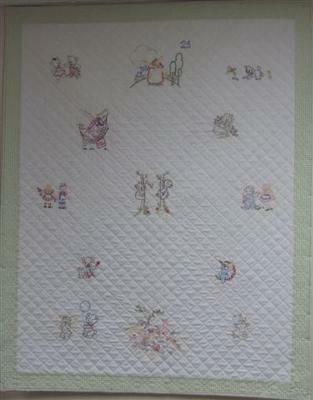 This is the latest baby quilt I just completed for my newest Grand Baby who is soon to arrive. I enjoyed embroidering these coloring book images and I'm sure they will be loved as well. For me, the best way to enjoy special events is to share my hugs and kisses through my talents. A Great Way to Celebrate! 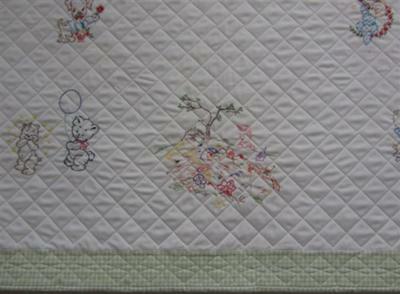 This is surly a special youngin'... What beautiful embroidery work and quilting was put into this precious baby quilt....thanks for posting!